Our paper was featured in the Journal of Cell Biology’s Special Collection: Neuronal Cell Biology. Our recent publication was the cover article for the August 2016 issue of The Journal of Cell Biology. This publication was also featured in the issue’s spotlight written by Kate O’Connor-Giles. 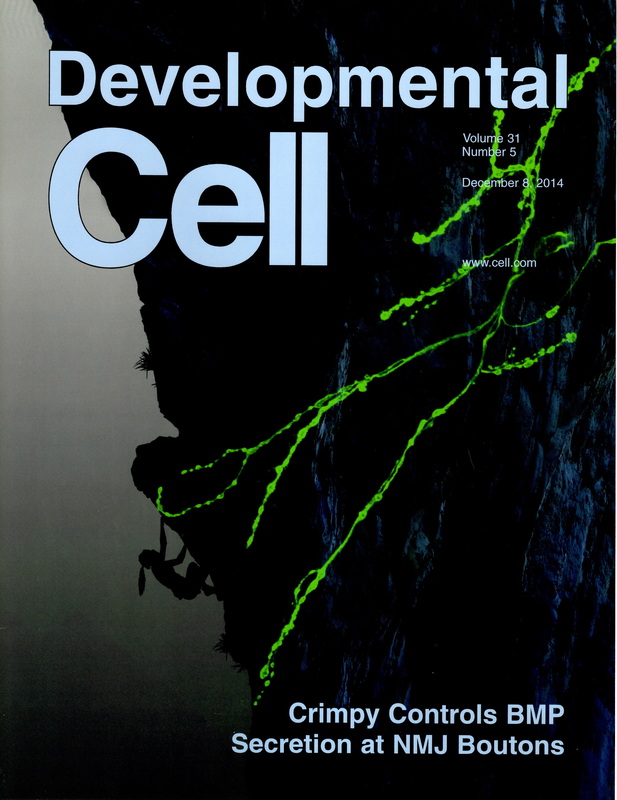 Our recent publication was the cover article of Developmental Cell. The FoxO JCB paper was featured on the February 6th edition of the JCB Biobytes Podcast. Faculty of 1000 :: Crimpy Development paper was evaluated as a “must read”. The Mmp2-Frac paper was highlighted in This Week in the Journal in the Journal of Neuroscience.